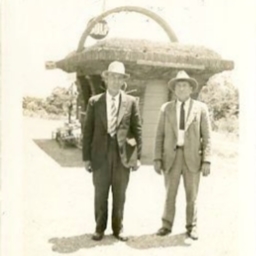 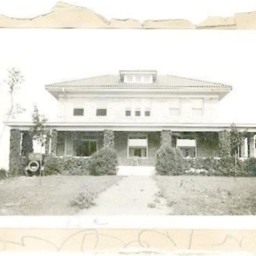 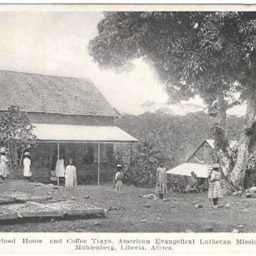 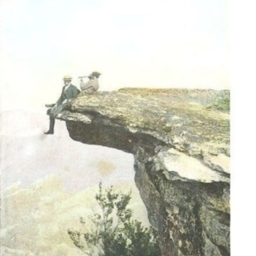 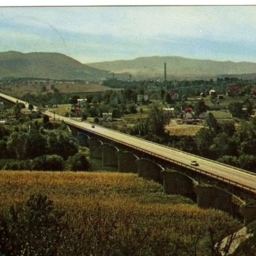 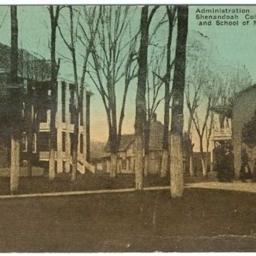 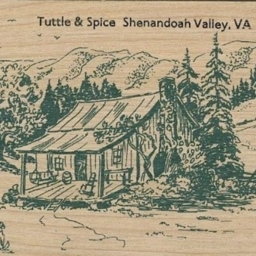 Picture showing "Mr. Duke's House" near Harrisonburg Virginia with description of the view from that location. 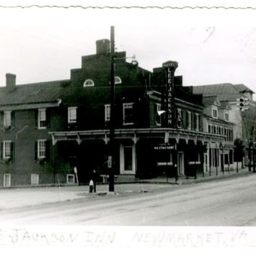 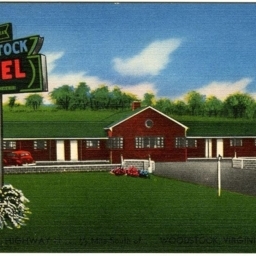 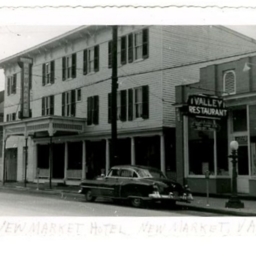 Hotel New Market, New Market, Va.
Postcard showing the Lee-Jackson Hotel on the corner of US Highway Number 11 and Number 211 in New Market Virginia. 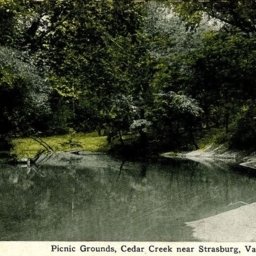 Shenandoah River at Stonewall Mill, looking toward Massanutten Mountain, near Woodstock, Va.
Fisher Hill on Route 11, Shenandoah Valley, Va.
Picnic Grounds, Cedar Creek near Strasburg Va.
Postcard showing a picnic grounds along Cedar Creek near Strasburg. 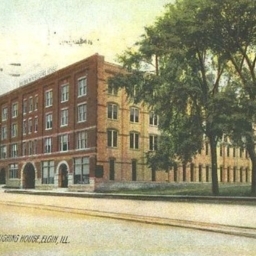 Brethern Publishing House, Elgin Ill.
Postcard showing the Brethern Publishing House in Elgin Illinois. 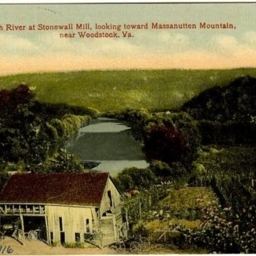 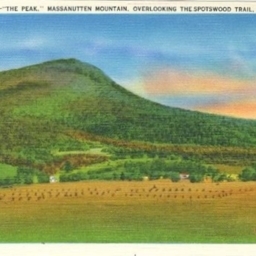 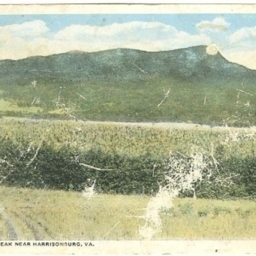 Postcard showing the peak of the Massanutten Mountain near Harrisonburg. 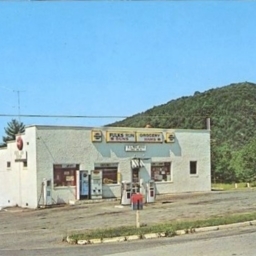 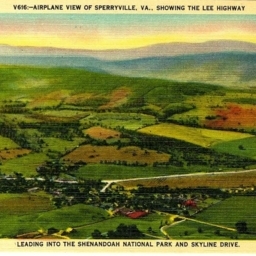 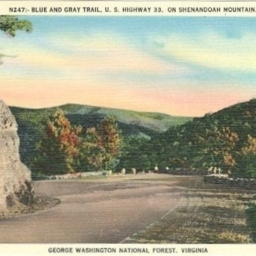 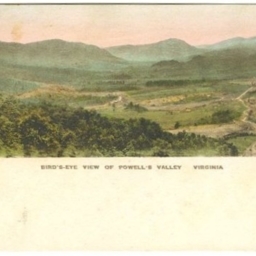 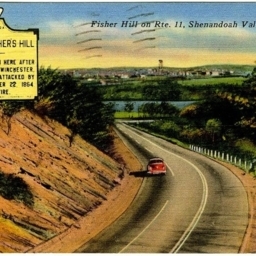 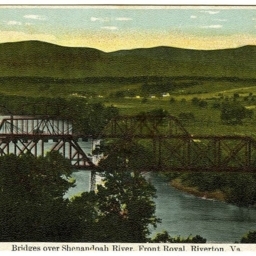 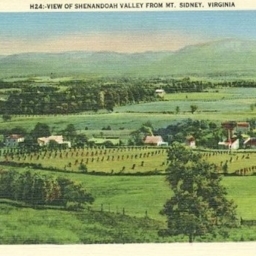 Postcard showing US Highway 33 as it tops the Shenandoah Mountain in the George Washington National Forest near Harrisonburg. 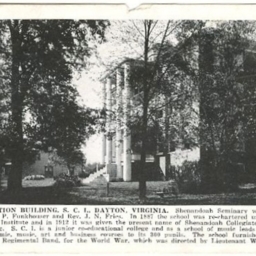 Administration Building, Shenandoah Collegiate Institute and School of Music, Dayton Va.
Ladies Building (Shen. 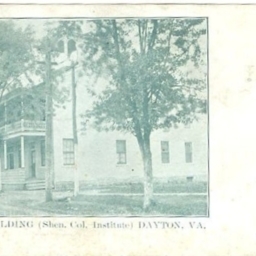 Col. Institute) Dayton Va.